WOW!!! 4,794sf Custom built home featuring a Fully finished BASEMENT/2nd Living quarters with dual/indep. entrance, fully equipped kitchen, second master bed. w/bathroom & Living area. Exquisite mill-work, beautiful hardwood floors & finely detailed moldings in desirable Palm Tree Cove. Open Floor plan, Beautiful screened back porch, Gated boat/RV storage, pool, clubhouse, recreation areas & lake access. 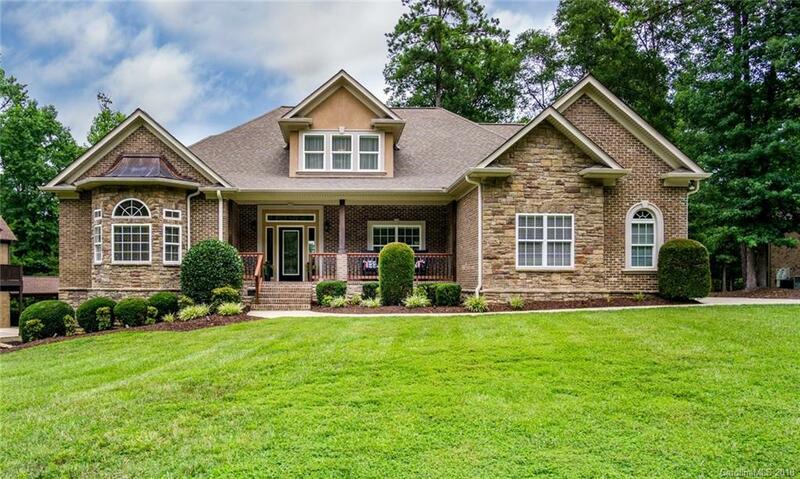 Graceful arched doorways, gourmet kitchen, granite counter tops, 42" high end quality cabinetry, Study/Office, Formal DR, Master on main, great room, mud room w/ custom built-ins & bench & so much more! Great room on main features beautiful built-ins & open floor plan, perfect for entertaining! Screened back porch, fenced wooded backyard, & irrigation system (front yard). Upper level includes 2 big bedrooms w/ their own baths & bonus room/rec room/play room. Did I mention the tons of storage & 3-car side load garage?! Low SC taxes & Clover schools. This house has it ALL!